Intex Technologies (India) Ltd. has launched the Intex AQUA 3.2, its third offering in the smartphone category. Designed to be an all-in-one solution for the next generation of smartphone users, the company said this phone is an apt choice not only for urban customers, but also for evolved customers from small cities and towns. 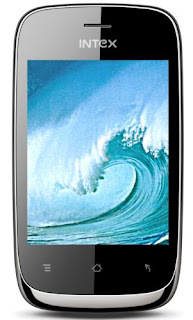 The Intex AQUA 3.2 is a fully integrated 5-point touchscreen phone that runs on Android 2.3.5 and is available at a price of Rs. 3,790/-. As an introductory offer, Intex has bundled a backpack worth Rs. 700/- with this smartphone. Sanjay Kumar, GM - Mobile Business, Intex Technologies (India) Ltd., said, "All our innovation is driven by strong end-user experience and demand for new gadgets. With our background as the fastest evolving mobile handset company in India since 2007, we have gathered all the required know-how of developing world class technology. This enabled us to bring to the domestic market a superior quality touchscreen smartphone solution, both in terms of performance and cost. We are convinced that Intex AQUA 3.2 will play an important role in bringing high performance touch enabled smartphone to the true mass market while contributing substantially to the market share of our mobile business." Featuring a 3.2-inch display, the Intex AQUA 3.2 is a fully loaded touch smartphone with 5-point capacitive screen. Powered by high speed 1 GHz processor and Android 2.3.5 operating system, this stylish smartphone offers an effortless experience to its users along with the smart Dual-SIM access. At the same time, the device offers fast data processing, advance multi-tasking and fast downloading of multimedia files. The bar phone, which weighs 127 gm, can easily be slipped into any small pocket or bag that you may choose to carry. The phone also has a 2 MP camera and an expandable memory up to 32 GB providing ample space to store music, movies, photos and apps. The phone can be controlled through a touchless technology named G-Sensor and it works best with pictures and games. The phone comes with an array of preloaded games and applications such as Fruit Ninja, Nimbuzz, Gmail, YouTube, IRCTC, etc. All the other desired applications can be easily downloaded from Google play available on the phone. To access data and files from other hardware, the phone gives you option of linking it through Wi-Fi and Bluetooth. Supporting both English and Hindi languages, the phone has host of other features such as push email, FM radio, audio player, video player (25 FPS), sound recorder, mobile tracker, audio call record, caller group, supports AS modem, Wi-Fi, preloaded games and applications, which makes it an ultimate handy phone. A 1200mAh battery powers the device, which gives users a talktime of up to 3 hours and a standby of up to 180 hours. Available in three colors - silver, blue and black, the handset can be bought through 15,000 plus distributors and reseller outlets and is available at more than 40 Intex SQUARES (exclusive retail stores) and several hypermarkets across the country.